Achille C. Scache (“Ash”) focuses his practice on all aspects of Delaware family law. Ash is a member of the Melson-Arsht American Inn of Court and the Delaware State Bar Association, where he served as the Chair of the Family Law Section in 2014-2015. Ash successfully argued before the Delaware Supreme Court in Fuller v. State, 104 A.3d 817 (Del. 2014). In 2014, Ash was appointed to the Differentiation subcommittee of the Delaware Family Court Enhancement Project, an initiative funded by the National Council of Juvenile and Family Court Judges and the federal Office of Violence Against Women working to improve the way the Family Court of the State of Delaware responds to domestic violence in child custody cases. Ash has presented continuing legal education on family law topics and client advocacy and regularly volunteers his time with Delaware Volunteer Legal Services, the Delaware Domestic Violence Assistance Program, the Delaware High School Mock Trial program, as well as engagements at both Widener University School of Law and DeSales University. Prior to entering private practice in 2012, Ash served as law clerk to the Honorable Alan N. Cooper and Joelle P. Hitch of the Family Court of the State of Delaware. Ash received his law degree from Widener University School of Law’s Delaware campus where he was in the top 5% of his class, an editor of The Delaware Journal of Corporate Law, and a member of the Moe Levine trial advocacy honor society. A 2007 graduate of DeSales University, Ash was active in student government and social justice and was a member of the Chorale, Schola Cantorum, and Liturgical Choir. 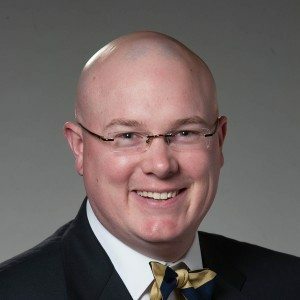 Ash resides in Wilmington, Delaware and is married to his wife Dr. Laura Owens and enjoys his dog, Swiper, as well as racing sailboats and playing golf.